When companies decide that mergers and acquisitions (M&A) of other corporations is the way to expand, the Colorado business lawyers at Watson & Associates, LLC can help. Whether the acquisition is small or large, an attorney at our law firm will initiate and oversee your M&A transactions. We also provide assistance when there are acquisition and merger efforts for companies with existing federal government contracts. With law offices both in Washington DC and in Colorado, we are positioned handle situations both in the commercial or federal procurement spaces. Our goal is to help clients avoid some of the most costly mistakes with high level corporate transactions. In the federal government contract area, there are unique nuances to consider. Not all corporate lawyers are familiar with federal procurement and contracting implications when selling or acquiring companies with existing federal contracts. Recognizing that every corporate transaction is important to our clients, our goal is to provide the best possible legal advice to our clients by building a team that is focused on your specific transaction. One of the more important aspects of the firm’s mergers and acquisitions practice is to help with the initial due diligence phase and corporate governance. Merging companies means that the important pieces should be investigated in order for smooth M&A transaction. When corporations either at the initial stages or need to change attorneys midstream in the M&A process, our Colorado mergers and acquisitions consulting teamd and attorneys can assist with a wide variety of legal and transactional matters including: corporate governance, preparation for prospective targets, company merger letter to customers, asset sales and purchases; private equity mergers of distressed companies, middle market merger,government contractor mergers; general corporate counseling; post-merger integration; corporate governance legal advice; joint ventures; stock purchases and sales; mergers and acquisitions consulting; strategic mergers; tender offers and leveraged buyouts. 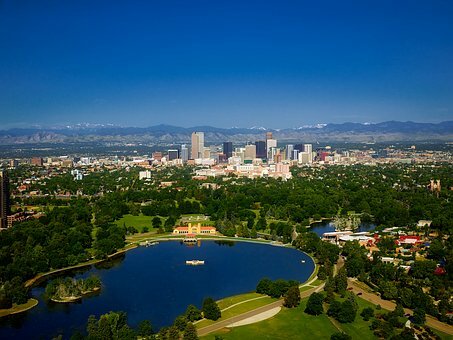 Our Denver acquisitions and mergers law provide legal counsel to various players in the M&A market including the acquiring companies; majority and minority interest holders; special committees and boards; federal government contractors; dissident shareholders and partnership interests. To speak to an M&A attorney, call us at 1-866-601-5518 to schedule a free initial consultation. As Colorado mergers and acquisitions law lawyers, we diversify our transactional practice spreads from private companies, federal government contractors to large public companies. With regard to company mergers and acquisitions law for mergers of federal government contractors with distressed companies, Watson & Associates, LLC Colorado M&A attorneys are well-versed in FAR regulations and the importance of making sure that the buying selling process goes smoothly. We represent federal contractors across the United States and overseas with important issues such as stock purchase sales, government contract novation agreements, Mentor Protégé, government small business regulations and joint ventures. Since there is a multitude of moving pieces with this type of M&A transactions, we manage the entire company mergers and acquisitions process. 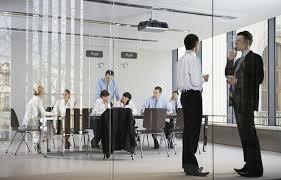 This includes coordinating with accountants, banking institutions or local counsel. When it comes to corporate mergers & acquisitions involving federal government contracts, our M&A attorneys can help. Conducting proper due diligence can preserve resources and time when conducting mergers and acquisitions transactions. Considerations for acquisition mergers: Moving forward with an M&A transaction is a huge deal. In the heat of the excitement corporate executives should consider whether this is the right deal; how has the industry market fluctuated in the past and what are the inherent risks for the future. In addition, there should be some consideration for implement risk mitigation factors throughout the M&A process. Mergers and acquisitions of government contracting firms: An example of considerations in this level of corporate transaction is acquiring or selling a business with existing federal contracts. We can help with the purchase and sale of HUBZone and 8(a) small businesses. The major problem that most parties run into is the transfer of government contracts and any potential novation efforts required to make the M&A work smoothly. These are areas where Watson & Associates’ M&A attorneys can help. Corporate mergers occur when two business entities combine to form a new entity. A corporate acquisition occurs is somewhat similar to a company takeover. During this process, one company acquires another company’s assets or stocks. When considering the difference between merger and acquisition there differing strategic and substantive approaches. Looking at the business transaction from an economic and commercial standpoint, the levels of business transactions lead to the consolidation of assets and /or liabilities under a single entity. An acquisition may place one business under the indirect ownership of the other company’s shareholders. Leveraged Buyouts: A utilized buyout, otherwise called an LBO, is a system strategy from enormous speculation organizations that permits them to utilize obtained assets to pay financial duty regarding their procurement. They likewise utilize obligation to fund their forceful business bargains utilizing things that incorporate garbage securities, customary bank advances, and other comparative sources. It goes about as secure insurance for their money related duties to an enterprise or business. It can be contrasted with 70% obligation and 30% value. On the off chance that premium is brought about at whatever time amid the buyout, it is paid with the income that is later earned by the organization. In the merger and acquisition analysis and legal process, there are certain and negative parts of buyout choices for the business or company. A high market, great administration, and solid business practices, and market specialty are all key parts. This is joined with the partnership utilizing a segment of their cash to back the course of action and utilizing a bit of obligation. The thought is to get the additions that you’re being guaranteed for the enterprise. You will likely keep away from an “unfriendly takeovers” or a “bootstrap exchange.” It ought to renew your company and bring a protected return. A buyout can help a coming up short enterprise or business experience a renewal that will give them monetary profit. It changes the corporate structure that is blocking your monetary development and thriving. It can likewise add to a business going profit. For help with corporate mergers and acquisitions and other business law matters, our Colorado M&A consulting team and attorneys help small and large businesses in Denver CO, Colorado Springs, Aurora, Fort Collins, Lakewood, Thornton, Arvada, Westminster, Pueblo, Centennial, Boulder, Highlands Ranch, Greeley, Longmont, Loveland, Grand Junction; Columbine Valley, Superior, Louisville, Castle Pines Village; Cherry Creek CO, Holly Hills, Morrison, Cherry Hills Village, Bow Mar, Woodmoor, Centennial and more. Call our Denver law firm for help with your next M&A consulting project. For immediate help with corporate commercial business transactions, corporate governance, acquiring companies with federal government contracts, call Watson & Associates, LLC’s Denver corporate mergers and acquisitions law lawyers and consulting team in our Colorado office today. We offer a FREE complimentary initial consultation. 1-866-601-5518.